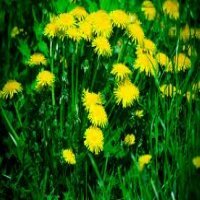 Dandelions - The lawn weed that masquerades as a pretty yellow flower? A lot of people think that dandelions are just pretty yellow flowers. Kids like to make flower bouquets with them and blow at them when they puff up and begin to seed. Some people even like to eat them. In reality they can over take your yard. They are the most common perennial, broadleaf weed. They are found throughout the United States. They can begin to grow as early as April. They are very distinctive looking. The leaves are a dark green color. They have yellow flowers that grow on long stems called tap roots. The taproots can dig up to one foot into the soil. Taproots are enlarged, somewhat straight plant roots that grow vertically downward. They form a center from which other roots will sprout laterally. Watchout, those pretty yellow flowers turn white and become puffy when they are ready to release their seeds. If you don't take care of the problem before this happens, your neighbors may not be too happy with you. 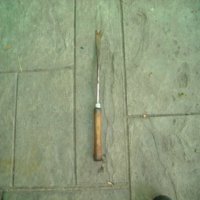 Pull them out of the ground by hand or with an instrument such as a dandelion fork (or even a screw driver). You can buy this lawn garden tool at your local garden center. The plant will come back if you don't remove the majority of the taproot (1/2 to 3/4's of it) from the ground. The best time to remove them is when the flower is blooming because the plant is at it's weakest. This is typically in May. They are at their weakest because they use all of their food reserves to create the flower. Once the area is dandelion free (taproot and all) be sure to fill in the area with grass seed. Spot spray the weed with a broadleaf herbicide. The best time to apply this is when it is actively growing in the spring (April/May). Wait a minimum of 30-45 days to make sure all of the chemical residue is gone before you even think about planting grass seed in the area. NOTE: Be careful with broadleaf herbicides. This chemical can also damage nearby trees, bushes and flowers. Always be sure to thoroughly read the label before you use the product. Always practice good lawncare maintenance. Are you sick of hearing this yet? It is so important! Mowing higher, watering and fertilizing your lawn with the right type and amounts of fertilizer will help crowd out any potential weeds. 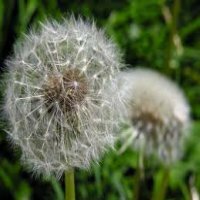 If you have had dandelions, make sure you bag the grass clippings. 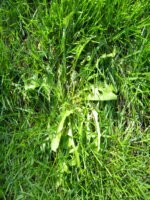 Leaving the clippings on the grass can help spread the seeds. Then you have to start all over again. Use compost in the fall to topdress your lawn. The nutirents from the compost will breakdown and be absorbed into the soil. The nutrients will help the soil break down organic matter in a timely fashion. Follow the tips outlined above and you can eliminate your weed problem. As you can see proper lawn care is the key to wiping out these weeds. Did you know that the nutritional value of dandelion leaves is very high? This was a staple in Granny's house on the Beverly Hillbillies. They are low calorie and full of nutrients. They are rich in iron, Vitamin A, Vitamin C and calcium. They also contain lutein which is an antioxident that is good for your vision. You can eat the leaves raw in your salad, steam them or saute them. I do strongly suggest that you buy the organic variety from your local grocery store though so you can make sure they were not sprayed with any chemicals (weed killer, pesticides, etc.). From dandelion page to lawncare home page. 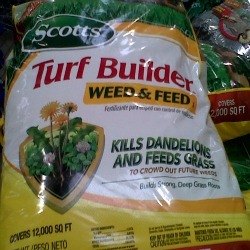 Weed & Feed that kills dandelions while feeding your grass.